Ash Scraper If you play with fire, you wet your bed at night. We at Morsø do not believe that old Danish saying. 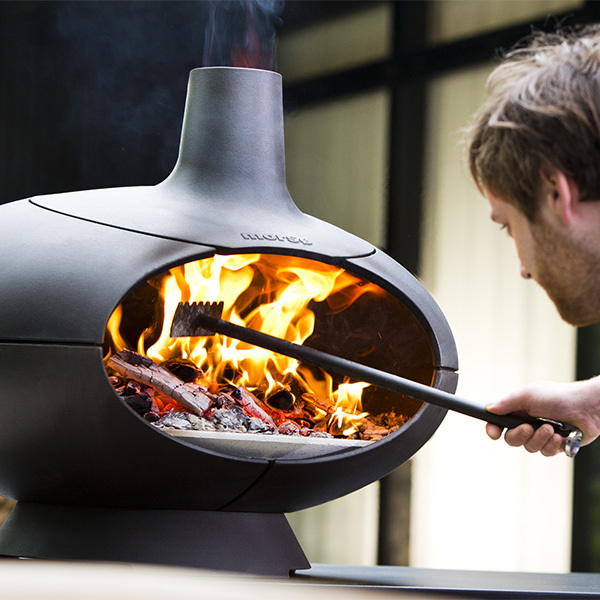 On the contrary, we love to play with fire, so we asked the award-winning Danish designer Klaus Rath to develop an ash scraper especially for the Morsø Outdoor Oven. Not only is it ideal for clearing up, it is also particularly suitable for moving round the embers and breaking them into smaller pieces, for example to grill good steaks. The built in blow pipe is also a great help when you need to perk up the fire.